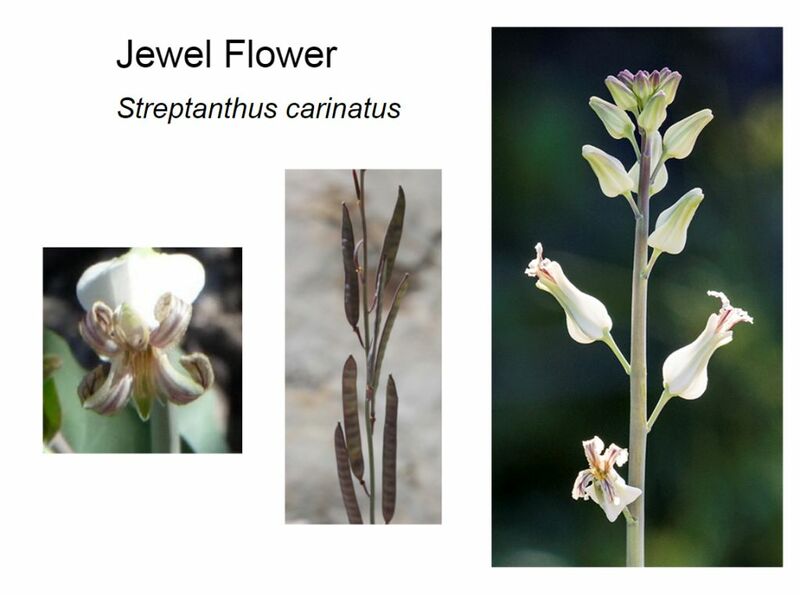 Jewel Flowers are also commonly known as Silver Bells. Click on the slide. 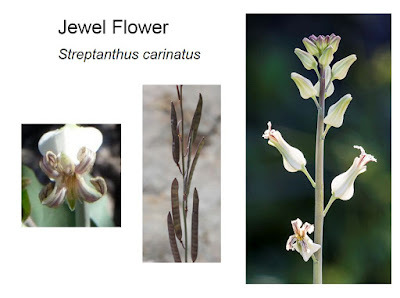 Note the four curled-back petals in the photo on the left. The flowers are actually visible with the naked eye; somewhat uncommon, for mustards. Note the fruits in the center photo - yes, they look a lot like bean pods sticking straight up. The fruit is much much larger than its flower, as is expected in the mustard family. Dozens of seeds in each fruit. 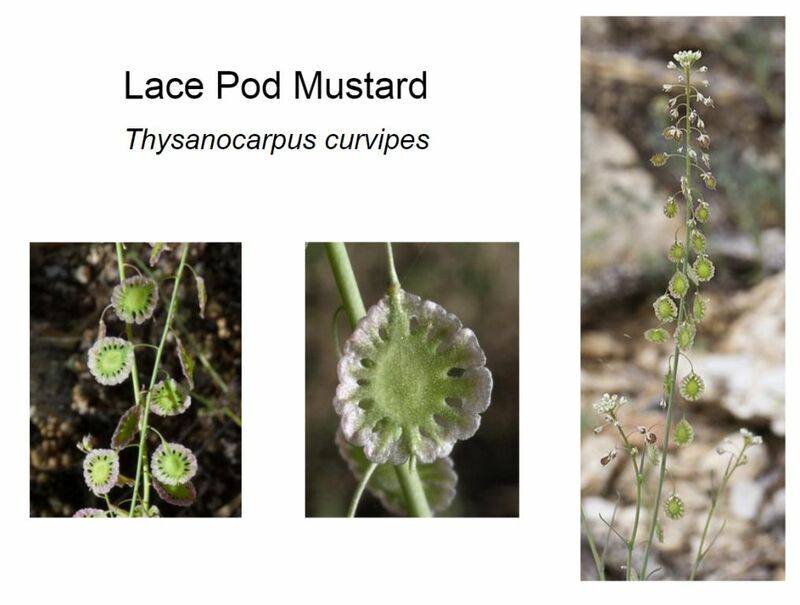 Lace Pods are my favorite mustards. The tiny, white flowers are easy to overlook and nothing to write home about, but the fruits. Wow! 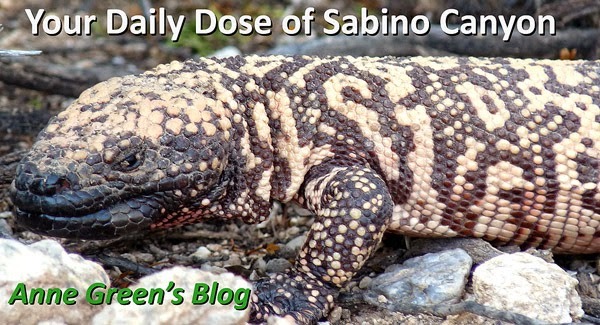 Again, click on the slide for larger views of the photos. The center close-up of a fruit reveals its magnificence. As we expect with mustard-family plants, the fruits are 'weird'; i.e., large and intricate, relative to the flowers that make them, and in a spiral-staircase pattern around the thin stem. You'll want to take a closer look at these beauties.